From the Free Academy to CUNY provides the first generally accessible narrative of the development of the City University of New York from its inception in 1847 as the Free Academy to its present status as the largest urban university in the country. The book includes an extensive bibliography of books, articles, dissertations and major policy documents, as well as chapter notes and an index. 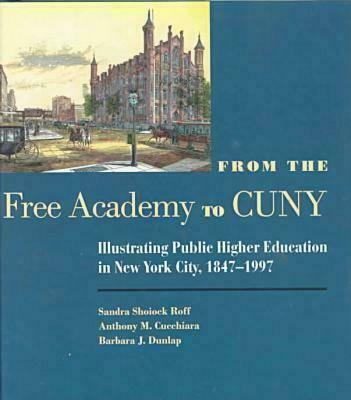 The Free Academy was born in controversy and today the City University of New York is again in the midst of controversial changes. This book provides the background necessary to understand how the municipal college system emerged, developed and became a university. Over 120 annotated illustrations dramatize the 150 years in which it has been facing the challenge of educating "the children of the whole people." This book tells the story of an institution that, directly and indirectly has influenced the lives of innumerable New Yorkers, their families and New York City.